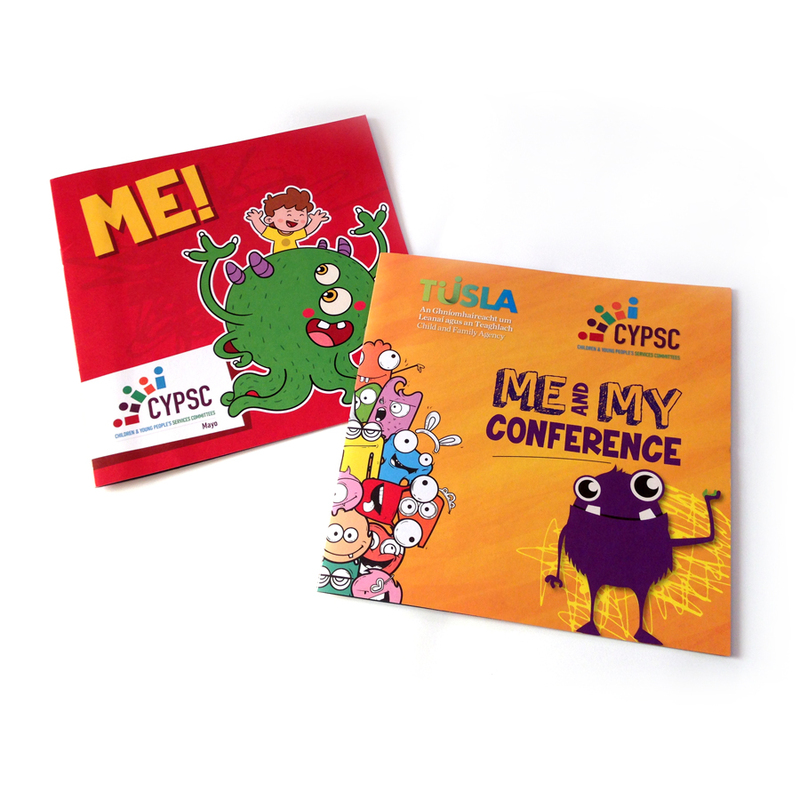 These colourful illustrated workbooks were produced for TUSLA and the Children and Young People’s Service Committees to aid children in need of their services. 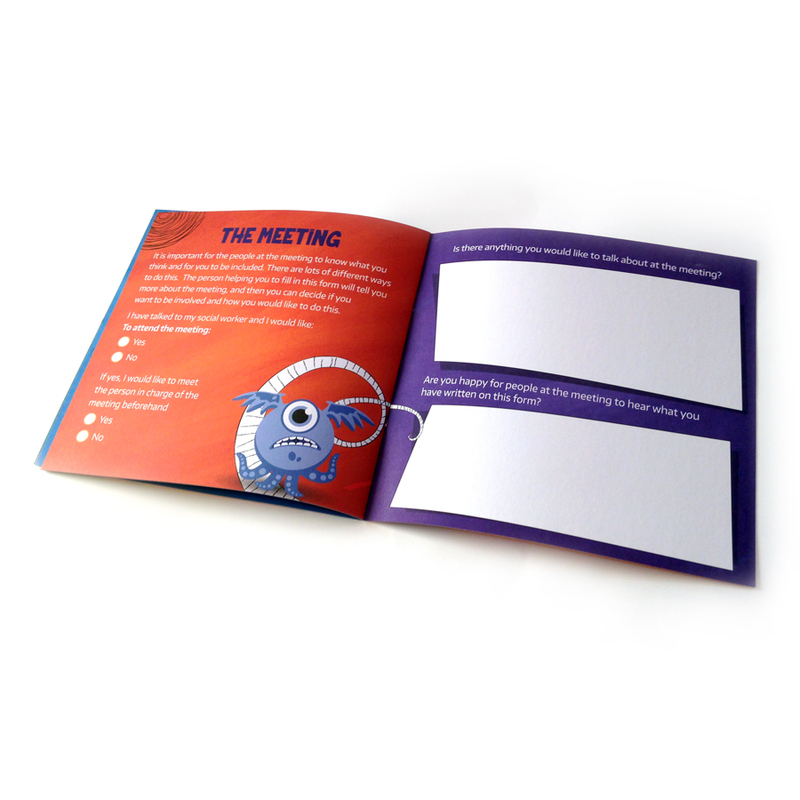 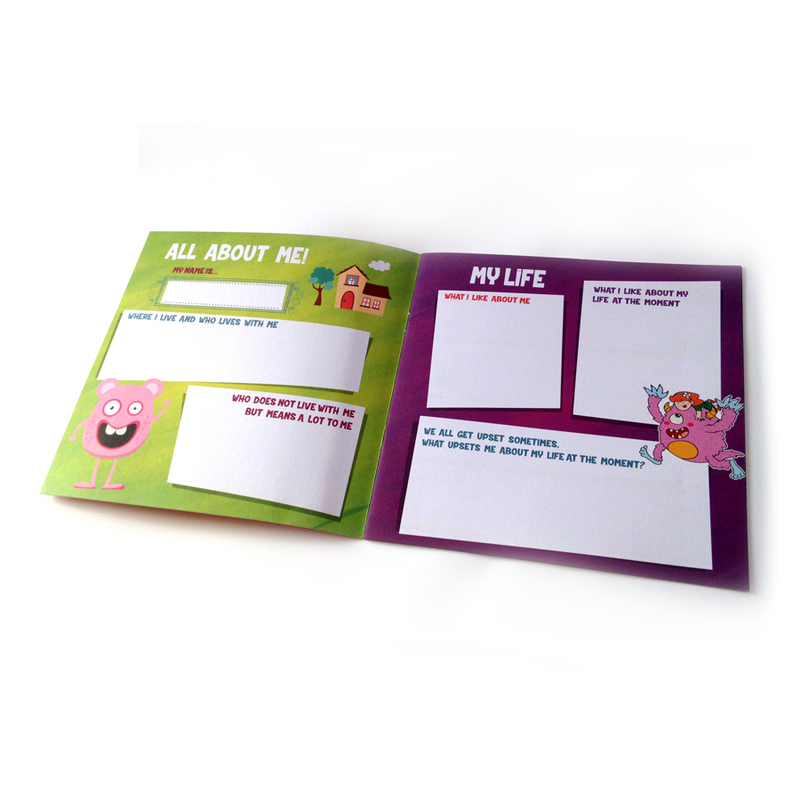 The booklets ask questions in a fun and friendly way to learn more about the child’s day to day life, any concerns or worries they might be having, and their hopes for the future. 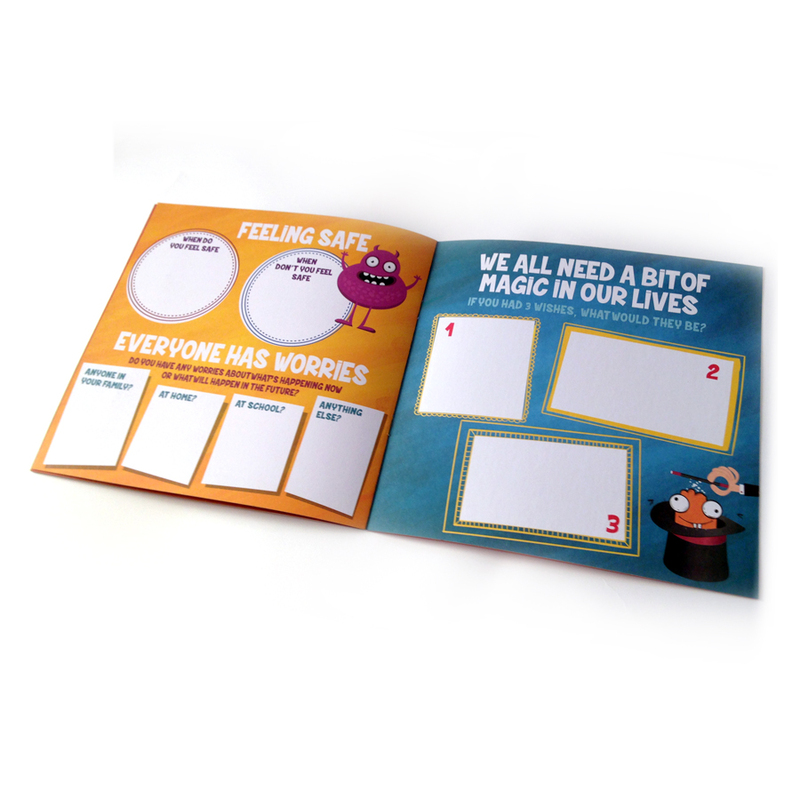 Children are encouraged to either write or sketch out their answers in a way that might make them feel more comfortable than discussing issues with a social worker.